Since 1991, our two Beacon Community Centers have served as anchors for countless Red Hook and Fordham/Belmont youth and their families. It provides year-round, day, evening, and weekend activities engaging thousands of young people and their families annually. 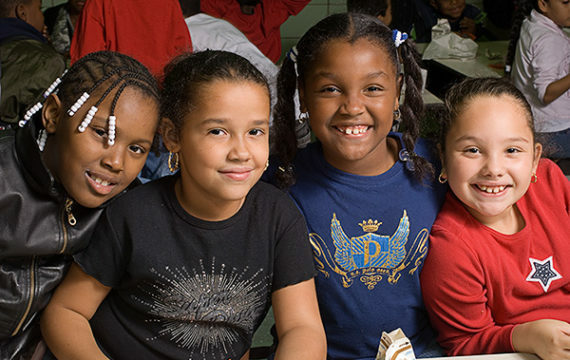 Our Beacon Community Centers aim to counter the challenges children and youth confront in distressed communities by serving as vibrant youth development hubs during the hours that school is closed. These centers also serve as a focal point for the entire community. Programming is designed to promote individual, family, and community development, and help our participants realize their fullest potential at home, at school, and in their community. Activities include an after-school program, organized sports, performing arts, skills building, community events, family nights, summer day camp, and computer literacy, ESL classes and GED classes for adults.